November 4, 2018 6:55 pm. 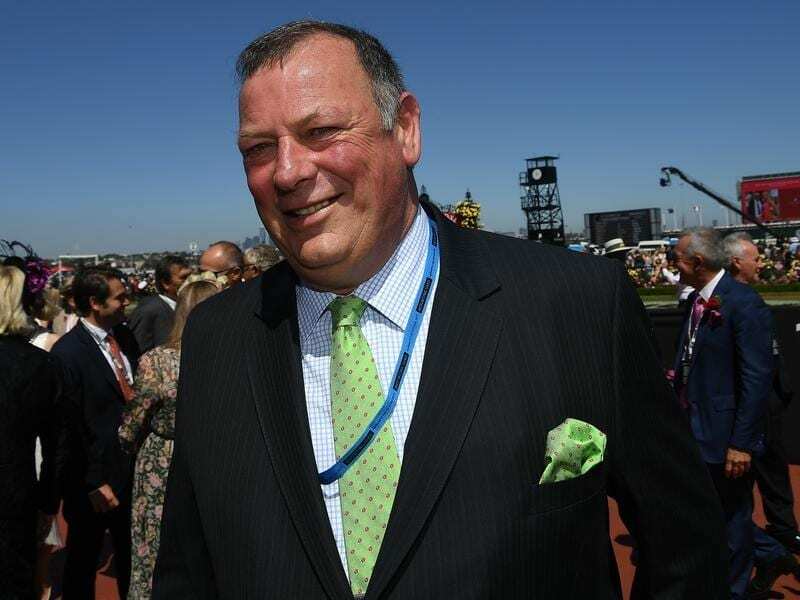 Trainer Michael Moroney will have two runners as he attempts to win a second Melbourne Cup. Trainer Mike Moroney has thrown his support behind two young jockeys as he chases a second Melbourne Cup. Patrick Moloney and Jordan Childs, who are on Vengeur Masque and Sound Check respectively, will be be riding in the Cup for the first time on Tuesday. Moroney won the Cup with Brew in 2001 when he put a young Kerrin McEvoy on the big stage. The trainer and Moloney formed an association two years ago but the jockey hasn’t always been given the nod by owners. After riding Victoria Derby placegetter Chapada in his first four starts, Moloney made way for James McDonald in Saturday’s Classic. “As a measure of the class of the guy he sent me a text straight away,” Moroney said. “I’d love to see Vengeur Masque win for him. He deserves it. He’s been a part of the team now for a while. Moroney has seen Childs grow up. Childs’ jockey father Greg and Moroney had success together and when the younger Childs first started out he rode work for Moroney. “I remember feeding him and his twin sister (Tayla) when I’d stay every second weekend with them when they were kids,” Moroney said. “I still remember them sitting in highchairs and here he is now riding a Melbourne Cup runner. Moroney is still learning about German import Sound Check who ran 12th in the Caulfield Cup at his first start for the trainer. Because has known Vengeur Masque longer, Moroney says the gelding is ready to peak on Tuesday and he believes he has as good a chance to win as Brew. It is third time lucky for Vengeur Masque making the Cup field. Moroney didn’t mind missing out on the first, but 12 months later was bitterly disappointed when he was again just outside the top 24. “I thought he could run top five without any worries,” Moroney said.